It is amazing how much progress you can make on your bow hold and your bowing technique if you practice violin in front of a full length mirror! First, it gives you a view of your bow that you don't normally get. You can see your hand the way your teacher sees it. Using a mirror has caused many students to have one of those "AHA!" moments, as they suddenly understand what it is their teacher has been seeing and trying to correct. Second, it lets you see your posture. Posture is important to good sound production, especially with regard to your torso, shoulders and arms. Again, you will see what it is your teacher has been seeing. It is amazing to watch students stand up straight when they see themselves standing next to someone else with good posture. Then they can remember what they looked right when they did it right and imitate that for future lessons. Third, it allows you to see the bowstroke. You can see if you are drawing the bow perpendicular to the strings or if it is at an angle. You can see whether you are drawing the bow straight or scrubbing it up and down the strings. This allows you to examine your finger, hand, wrist, forearm, elbow, upper arm, shoulder, neck and chin position at every point in the stroke. You can see if things are remaining consistent, or if there is a change that is causing a problem. Not for you, you say? You've been playing for six months and you've got this whole position thing down pat? 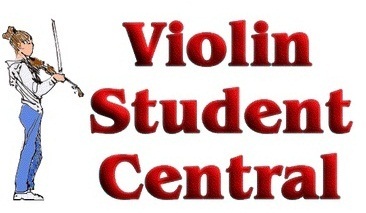 Well, maybe you are a whole lot better at this than I am, but I started playing the violin in 1963. I spent ten minutes in front of the mirror this morning looking at my position. Guess what? It wasn't perfect, and I made a slight change in the way I draw my bow to keep me from scrubbing! We all go back to the basics now and again! Bow-Right for Violin Available to fit violins from 1/16 through full size, the Bow-Right is a good tool for developing a sound bow technique. Stainless steel guides encourage straight bowing and correct wrist action. 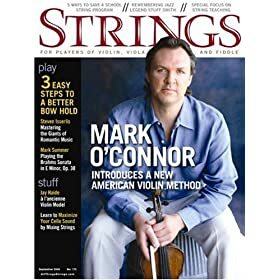 Strings Magazine is a GREAT resource for all strings players. Violin, Fiddle, Viola, Cello, Bass! Articles for Everyone!